Hi there! I am Stephie, a working mummy who carried a girl who aged 2 years+. I like to share, share everything about my life. After the little one was born, I started to share my experience on how to prepare baby food, and also some baby products review/sharing. From there, I have received many of feedback/enquiries from the readers and fans, that&apos;s basically how Small Potato was born. We start with a small product list which I have firsthand experienced. We always share our experience to you, so that you may truly understand about the products before purchase, and you can do the right decision without any wasting petrol, time and of cause the money! Always share your baby stories with us! Enjoy the journey with the little one :) Besides that, feel free to suggest items which you think would be great to get online. Join us on Facebook and Instagram for updates and to reach us. 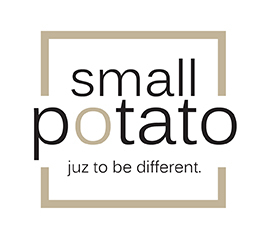 You can also drop us an email at smallpotato.biz@gmail.com / whatsapp us anytime on +6017 6092456.